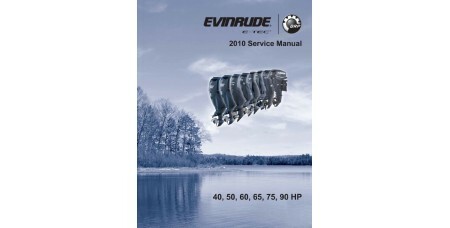 This Service Manual covers outboards 2010 Evinrude E-tec 40-50-60-65-75-90 Hp. This manual covers service information on all 52.7 cubic inch (.86 L), 2-Cylinder; and 79 cubic inch (1.29 L), 3-Cylinder Evinrude E-TEC models. 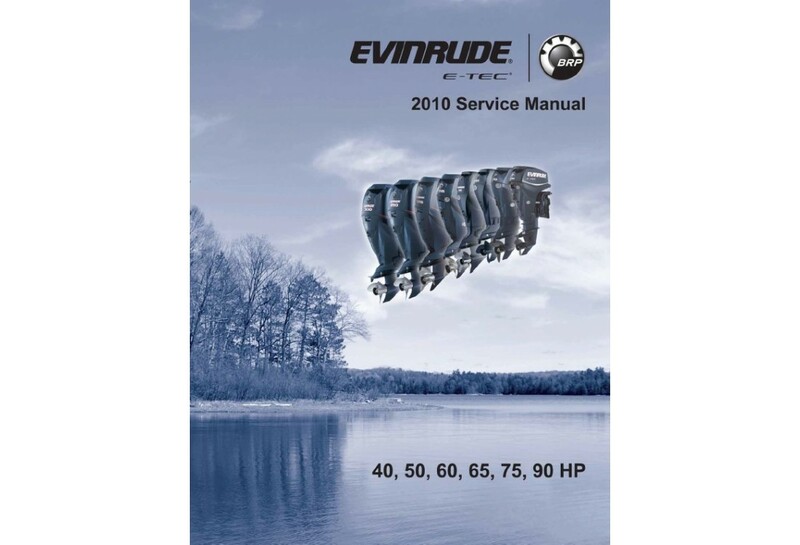 This Service Manual covers outboards 2009 Evinrude E-tec 75-90 Hp. SERVICE MANUAL CONTENTS: SECTION . . . . . . . . . . . . . . . . . . . . . . . . . . . . . . . . . . . .. This Service Manual covers outboards 2008 Evinrude E-tec 75-90 Hp. SERVICE MANUAL CONTENTS: SECTION . . . . . . . . . . . . . . . . . . . . . . . . . . . . . . . . . . . .. This Service Manual covers outboards 2007 Evinrude E-tec 75-90 Hp. SERVICE MANUAL CONTENTS: SECTION . . . . . . . . . . . . . . . . . . . . . . . . . . . . . . . . . . . .. 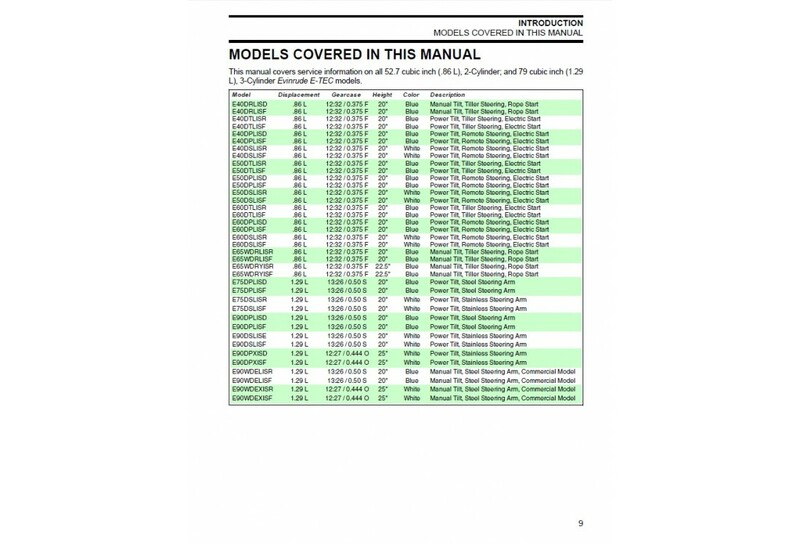 This Service Manual covers outboards 2013 Evinrude E-tec 40-50-60-75-90 Hp. 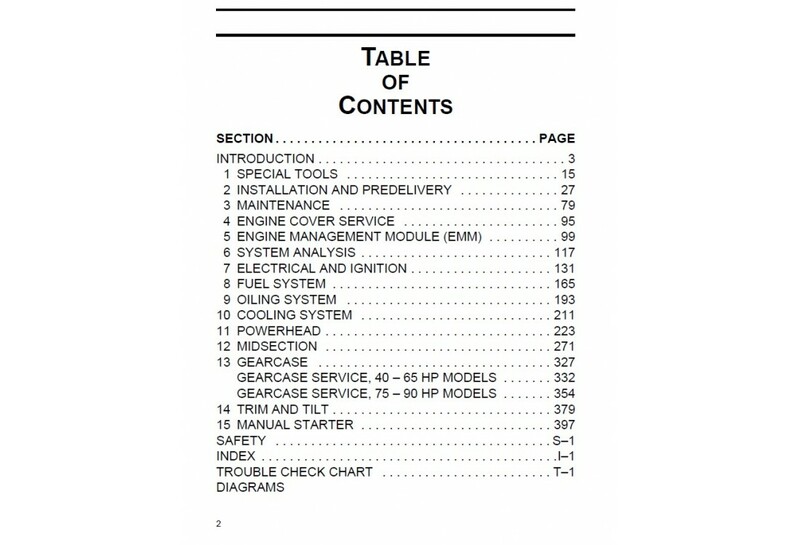 SERVICE MANUAL CONTENTS: 1 REFERENCE INFORMATION 2 ROUTINE SERVICE 3 ENGINE COVER SERVICE 4 ENGINE..